I've published posts on how to root varieties of Android phones/devices like Tecno or any Android phones/devices, at ease and successfully. Today, am adding InnJoo Halo and Fire Plus to this list too. To root InnJoo Halo and Fire Plus is very simple and easy. In this post, you will learn the easiest way to Root Innjoo Halo and Fire Plus without a Computer/PC. 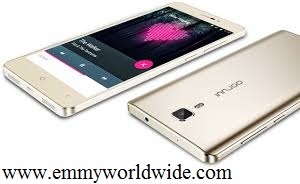 InnJoo Halo and Fire Plus is even the easiest to root among other Android phones/devices. 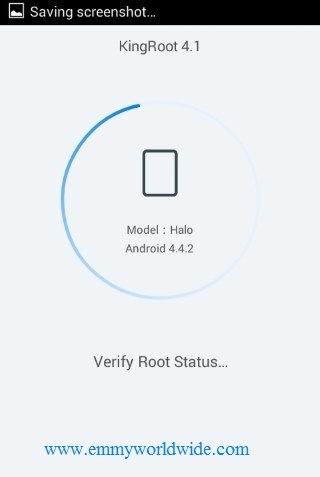 No need for Computer, all you need is rooting Application installed on your InnJoo device and before you know it, your Halo has been granted root access. Note: If you’re just getting started with rooting, please read this article to understand why you need to root your Andriod phone and meaning of rooting. Also, you should know that after rooting your phone, it’s advisable to unroot before performing an OTA update or restoring factoring settings. In my next post, I will share with you how to unroot your phone. 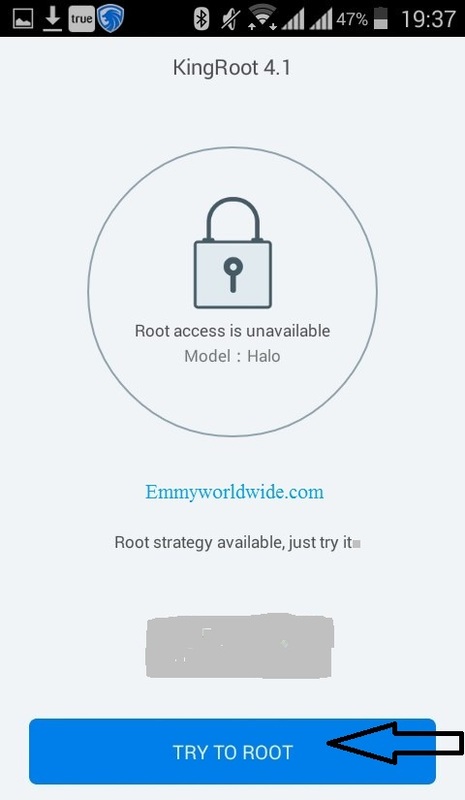 Rooting Innjoo Halo needs no special skills and you can easily root it using the popular one-click root app called Kingroot. 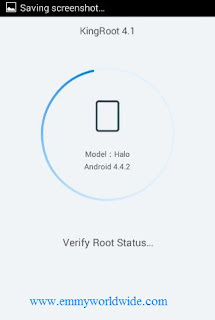 Procedures To Root InnJoo Halo and Fire Plus Using Kingroot App. 1. Download and Install the King Root Android App or Here. After downloading and installation, do not disconnect your Internet (Data or Wifi) connection. Make sure your Smartphone is still connected to the Internt. It will first try to verify the device’s root status. You need a working Internet connection on your phone to make this work. 4. You should see this progress down, just wait for some minutes. It shows that the rooting process has started and the App will start to read from 0% to 100% as shown below. 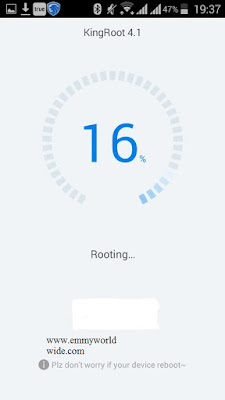 Note: If you on the process of rooting and it just stop without reading up to 100% or without bringing out the "Root successfully" notification, please click the "TRY TO ROOT" button again, in other to achieve. Note: During the rooting process your Phone may restart or just hang for a while, don't worry or panic, the job is being done. Close your Kingroot app. Go back to the app, it should tell you your device is rooted. Reboot your phone. Have you seen why I said Rooting InnJoo Halo is as easy as that. Are you looking for were to buy InnJoo Halo and Fire Plus in Nigeria, at a very cheap and affordable prices? Just get it from Jumia here or Konga here. It will be delivered to your door step, exactly when you want it. King root app works perfectly with all android phone, most especially MTK devices. 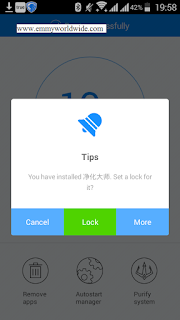 Related Posts: Android Tips, Smartphone tips, Unlocking tips. Labels: Android Tips, Smartphone tips, Unlocking tips. Thanks for the info. How about Injoo Halo with android version 5.1 it is not working for me. Any help? When you did it, what reply did you get?? ?